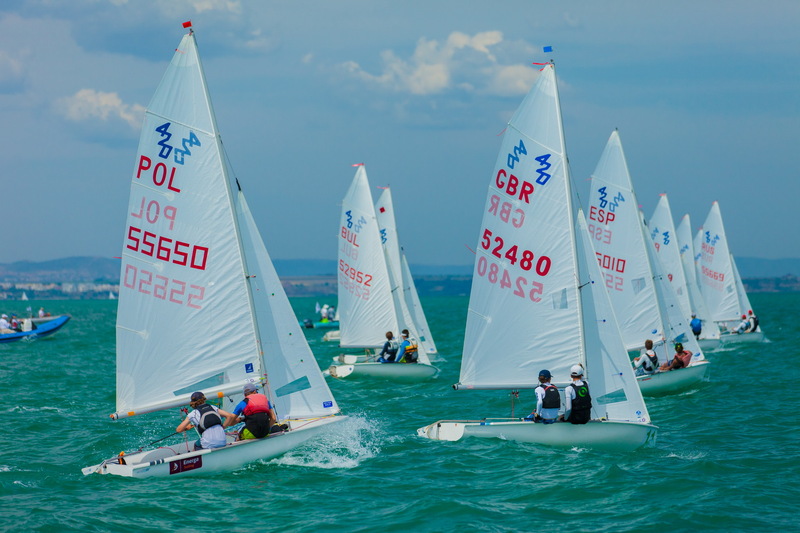 The combined 2015 420 and 470 Junior European Championships got underway today in Bourgas, Bulgaria with two races for all fleets in a light breeze. Racing started in a 10-12 knot breeze, gently decreasing through the day, until the waves seemed to have more power than the wind. 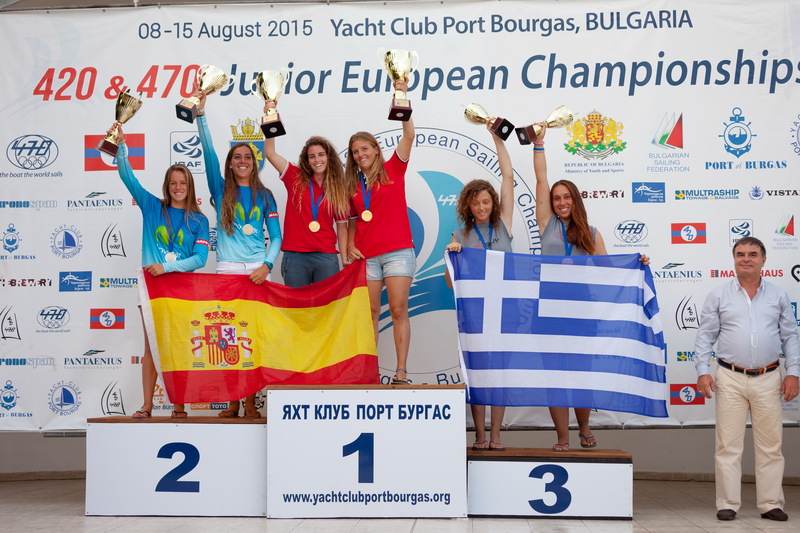 The combined 420 and 470 Junior European Championship reinforces the natural pathway between the 420 and 470 Classes. The 420 fleet is for teams aged 18 and under, and the new under-17 event will see its first Junior European titles awarded in 2015. The 470 fleets are for teams aged 23 years and under, and also supports the transition to senior fleet 470 racing. A spectacular Opening Ceremony last night, Sunday 9 August, formally launched the Junior European Championships, with teams parading along the main street and up to Freedom Square in the centre of Bourgas, led by the Bourgas Naval Band. 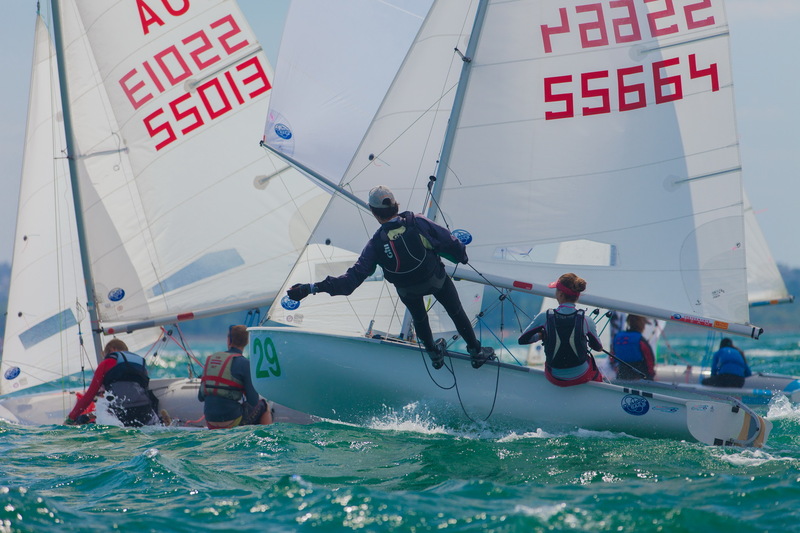 Racing takes place until Saturday 15 August 2015, with thirty nations represented amongst the 412 sailors competing in the four Junior European Championship fleets. Two wins from two races puts the USA’s Wiley Rogers/Jack Parkin at the head of the leaderboard. Fresh from a silver medal finish at the 420 Worlds in Japan, the American pair has lain down the challenge to the rest of the 90 boat 420 pack. The 420 Open fleet is split into two groups for the 6 race qualification series, with Rogers/Parkin seeded into blue fleet for the opening day. They secured themselves an emphatic victory in race 1, taking the win by over half a leg. Race 2 was not so straightforward, with a fight on their hands to advance through the fleet. Souzana-Ioli Bakatsia/Nikoletta Efstathia Papageorgiou sit in second overall as the top placed girls’ team, 2 points ahead of the recently crowned Under 17 420 World Champions Edoardo Ferraro/Francesco Orlando (ITA) in third. Brothers Carlos Balaguer/Ignacio Balaguer of Spain opened their assault on the 420 U17 Junior European Championship in solid style with a 2,1 scorecard. This new fleet for teams aged under 17 years in the year of the Championship, has been established in response to demand from nations who want to see an opening for younger teams to race within their own age group. Many new faces have been encouraged to enter the fleet, which supports the transition to the unrestricted age Championships in the future. 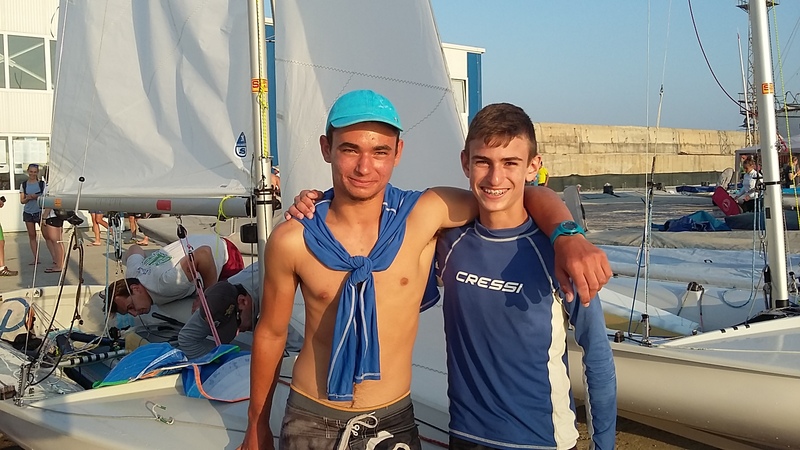 Before moving up to the 470 Class, brothers David and Alex Charles of Spain enjoyed front of fleet success in the 420 Class, including victory at the 2012 ISAF Youth Sailing World Championships. They regularly appear on the podium at 470 Junior events, including a bronze at last year’s 420 Junior Europeans in Poland. An on form 1,3 performance today puts them in the lead, but they are up against a formidable fleet of talent. After a break from international competition, Greece Alexandros Kavvas has made a return to the fleet with new crew Akylas Drougkas. Kavvas was the 2012 420 World Champion with brother George, and today proved that none of his magic has disappeared as he and Drougkas scored a 3,2 to sit in third in tiebreak with Giacomo Ferrari/Giulio Calabro (ITA). Three races scheduled for Tuesday 11 August to finalize the qualification 5-race qualification series and advance to gold and silver fleet racing. The thirty-three boat 470 women’s fleet line-up features all medallists from the 2015 470 Women Junior Worlds which finished last week in Greece. Conditions here in Bourgas are forecast to be quite different to Greece, so the likelihood of a different leaderboard outcome is probable. The opening win went to Turkey’s Beste Kaynakçi/Simay Aslan, who followed up with a 2 to lead overall. Second to Eva Peternelj/Valentina Baruca (SLO) and third to Roberta Caputo/Alice Sinno (ITA). Two races are scheduled for the 420 fleets and three for the 470 fleets on Tuesday 11 August, with the first starts at 1200 hours.